Glenn's Famous Vegan Potato Salad Vegans Eat What? With vegan mayonnaise and no animal products, you don’t need to worry about this vegan potato salad going bad if it sits out in the heat! 5 lbs. russet potatoes, chopped into 1 inch chunks. If organic, do not peel. If potatoes are organic (ideal), do not peel. Otherwise, peel. Chop potatoes and place in water to boil. Boil about 15 minutes or until potatoes are tender, but still retain their shape. Drain and allow to cool. Add potatoes and mix well. Garnish with fresh chives is desired. Note from VEW: If desired top with fresh chives. Optional add-ins include chopped black or green olives, pickles or celery. 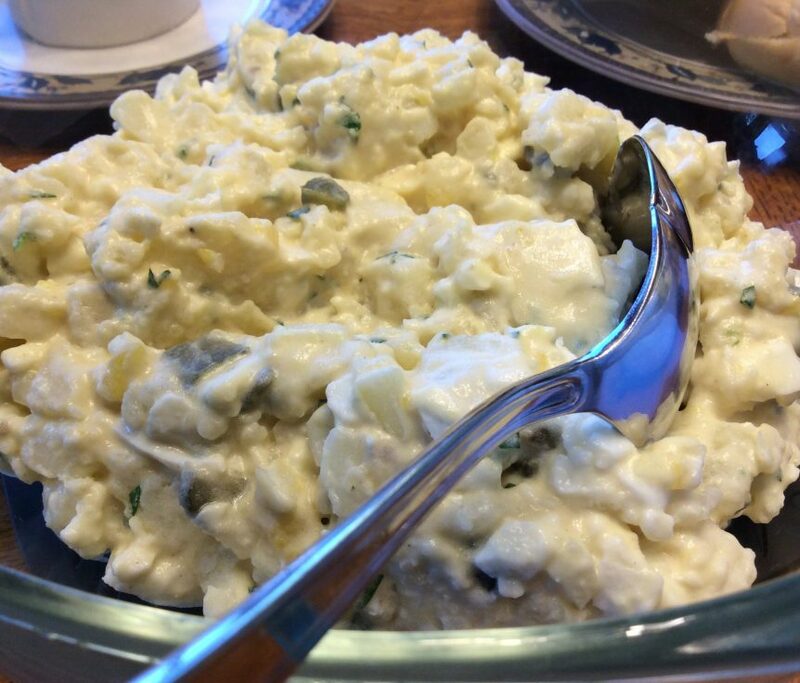 This potato salad is incredibly simple and delicious. Thanks Glenn!